Visit Icthyo Reproductions to view a wide variety of Bilz products. Elegant Bilz tiles framed in yellow-cedar. Bilz Frippery includes broaches, pins, and other Bilz accessories. Welcome to Bilz Rockfish—Magnificent Sea Creatures of the Pacific Northwest. Since 1995, William van Orden, aka BilzRockFish, has been making replicas of fish and other marine critters found along Canada's west coast. 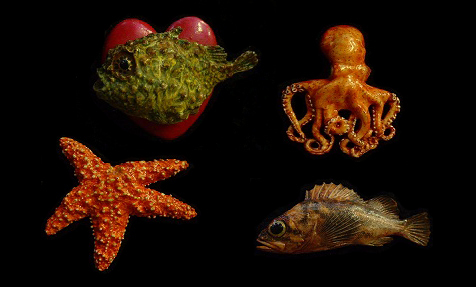 He has developed a unique technique for creating extremely accurate renditions of sea life. 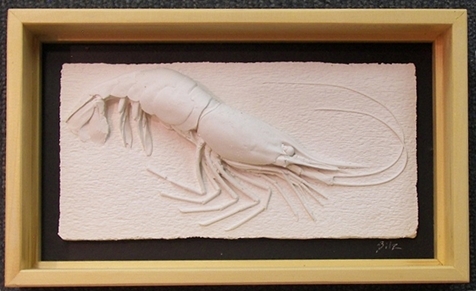 Molds are made using real fish specimens and with these molds replicas are cast. Every scale, pore and wrinkle is duplicated. The cast fish are then coloured with acrylic paints using an extensive collection of photos and notes. 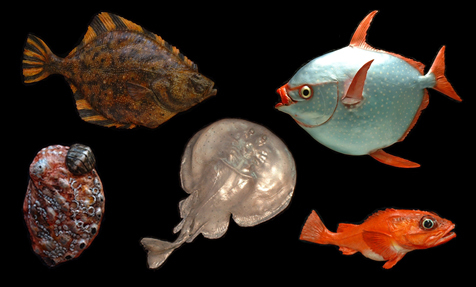 The quest is to create a permanent three-dimensional record of every fish found along the Pacific coast. With over 400 different molds cluttering his shop, it would appear that the quest has turned into an obsession.